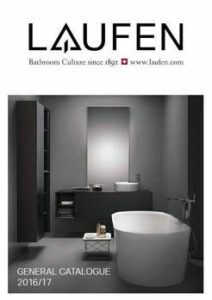 The personality of LAUFEN, a highly traditional Swiss brand, reflects a symbiosis of design, quality and functionality, the premium brand under the ROCA umbrella, is one of the world’s leading manufacturers with a global distribution network. 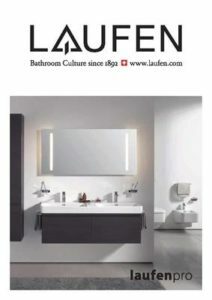 LAUFEN is a global expert when it comes to manufacturing bathroom ceramics and faucets. For over 120 years, It has been using the oldest malleable material known to man, ceramics, to make innovative products in state-of-the-art plants with legendary Swiss precision. What makes the products unique is that their Swiss design unites two major design trends – emotional Italian design from the south and the northern tradition of design precision and clarity. LAUFEN, an eco-friendly Swiss company, is committed to preserving natural resources by manufacturing products that allow water, a precious natural resource, to be used sparingly. The headquarters are located in Laufen near Basel, Switzerland. It has additional production sites in Austria and the Czech Republic. Steeped in tradition yet ultra-modern, The production plants make over three million ceramic products annually, and distribute these via a worldwide network of retail outlets and sales partners. Since 1999, LAUFEN has been one of the world’s largest bathroom manufacturers in the ROCA Group, which has over 20,000 employees in over 135 countries and produces 38 million ceramic products annually. Similor Group AG, one of the leading companies in the production of faucets with a manufacturing tradition which goes back more than 150 years, has belonged to the group since 2007. 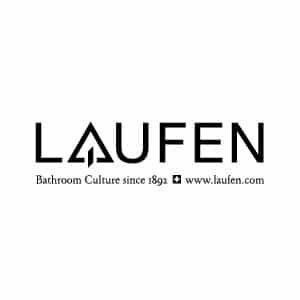 When LAUFEN was founded in Switzerland in 1892, sanitary conditions were well below today’s modern standards. Many of these improved standards are due in part to the innovations and contributions, the only sanitary porcelain manufacturer producing exclusively in Europe at the time. The history goes back even further. Around 1878, the pioneer of the mechanized production of sanitary ceramics was located in a factory belonging to the Austrian monarchy. This factory contributed to the well-established situation of the various European manufacturing sites in LAUFEN’s home markets of Switzerland, Austria and the Czech Republic, which helped lay the foundation of the quality. 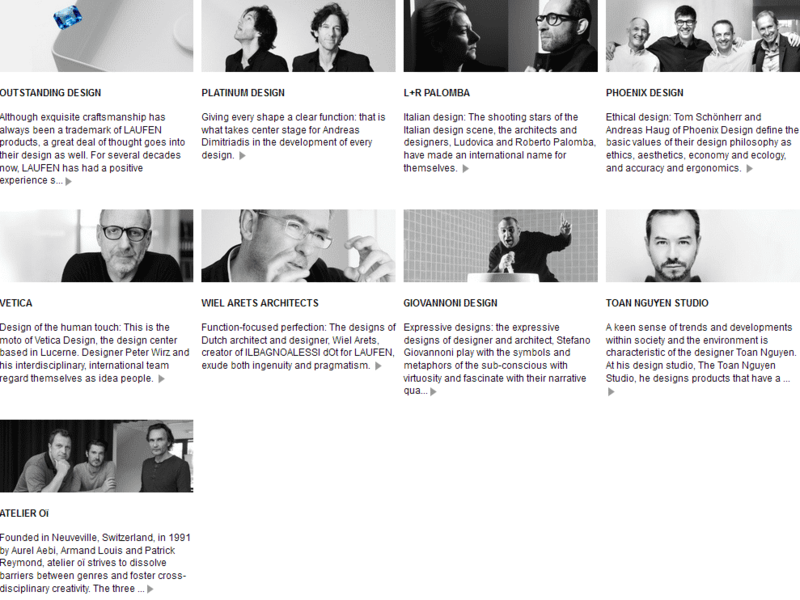 Since its earliest days, the mission of LAUFEN has remained the same — to be a leader in technology, service and design. In the 1980s, the most efficient injection molding technology in the field of ceramics processing was invented by LAUFEN. This was a breakthrough that constituted a lasting contribution to industrial production. Just as important for its continuing developments in the field of design. 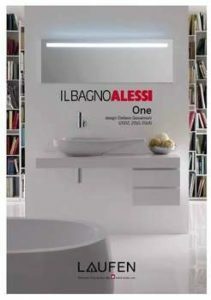 Wall-hung toilets and floor-standing washbasins, for instance, have made a new aesthetic possible. LAUFEN has now widened its expertise and its portfolio of ceramics, bathtubs, furniture and accessories by adding faucets to the product range. In 1854, Charles Kugler founded a small company for brass products in Lausanne. 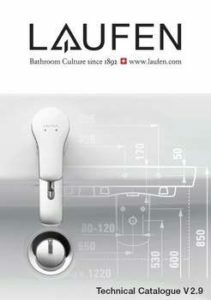 Faucets have been manufactured by LAUFEN since 2009. NEED MORE LAUFEN INFORMATION ?